has sprung to life, warning me of an incoming call on my mobile. Doctor Who has been in my life for a very long time. My first TARDIS (Time and Relative Dimension in Space, for the uninitiated) was cleverly disguised as my parents’ shed (broken Chameleon Circuit? I don’t think so). The smell of oil, the rusty tools and the stillness – this grown-up place was appropriately otherworldly for a wide-eyed eight-year-old, high on the possibility of fantastic journeys starting in his back garden. I’m far from alone in my enduring affection for the show. When Elisabeth Sladen, who played iconic companion Sarah Jane Smith in Doctor Who and its spin-off, The Sarah Jane Adventures, died of cancer last Tuesday, aged 63, the sad news trended worldwide on Twitter. Clearly and deservedly, she’ll never be forgotten. I loved the (Doctor’s) TARDIS because, outwardly, it was normal, overlooked and ignored – a ramshackle blue police box – but secretly, inside, it was something extraordinary. I was a shy, gangly and introspective child who wasn’t particularly good at maths and even worse at games (apart from rounders, oddly). I was never going to be one of the square-jawed superhero types emulated by my classmates; and no one in their right mind would have entrusted me with a spaceship like the one in Battle of the Planets. Then I discovered Doctor Who, and another perspective. There were no big guns or muscles, just crazy, wonderful plots fuelled by the kind of imagination and vision that characterised the show’s main character as well as its writers. Yes, the effects in the Eighties were sometimes shonky (although not nearly as bad as some people choose to remember) but I didn’t care. Besides, that wasn’t the point. The Doctor, travelling in an old-new box that was more powerful than any number of Death Stars, changed worlds armed only with his words, rapacious curiosity and quick wits. And he didn’t need to be good at football to do it. I could never make up my mind whether I wanted to be him or just be lucky enough to travel with him. It’s no surprise that Doctor Who has such a strong gay following. Years before he became its executive producer, Russell T Davies was writing fans of the show into his hit TV series Queer as Folk. The entire programme works as a metaphor for challenging injustice, living differently and being proud of it. It’s also proved to be a spur to creativity; many of its current production team grew up watching it (probably from behind the sofa) and writers such as Mark Gatiss and Neil Gaiman, both of whom have contributed episodes, happily cite it as a formative influence on their careers. I’m not a child any more. As much as it would be nice, at 30 years old I no longer believe that – just maybe – the TARDIS will materialise in my front room to whisk me away. Nevertheless, I made sure I was back at home with my mum and dad for the screening of the first episode of the revived series in 2005, and found the Doctor and Rose Tyler’s forced separation one year later on a windswept Norwegian beach heartbreaking. My TARDIS may have downsized as I’ve got older, but it’s still there. And when the first episode of series six, overseen by another dyed-in-the-wool fan, Steven Moffat, airs this evening, I’ll put my working week to one side in a way that an eight-year-old released from school would easily recognise. And it goes deeper than this. Sometimes, life defeats me: the Underground breaks down, work is frustrating, relationships hit obstacles or the news is bad. I get mired in the details and complications of the messy world around me. At times like these, I come home and skip to the final scenes of an episode from Davies’s first series, ‘The Doctor Dances’ (written by Moffat) – because just this once, impossibly and gloriously, everybody lives. And that’s bloody brilliant. 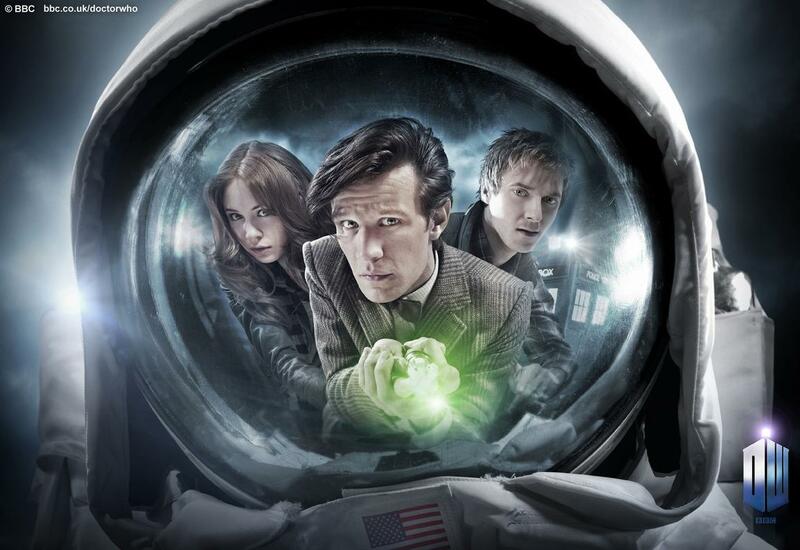 Doctor Who returns to BBC One this evening, at 6pm. If you miss it – shame on you! – you will be able to catch it on BBC iPlayer afterwards. Previous Opinion: What price a kiss?